Stores ref. 22c/987/990, Size 8. The leather is generally in very good supple condition but has variable patination, some fading , soiling and surface wear at the fingers. There is a small surface nick to the back of the left hand (see photo). One glove is darker than the other as is often the case. The blanket fleece linings are good. 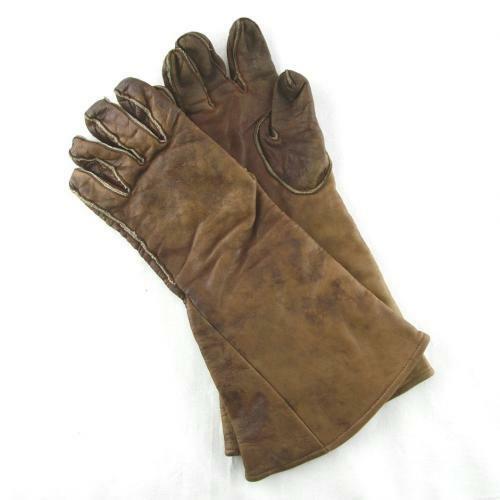 Both gloves have War Department broad arrow marks and are named to 'Campbell'. Good used. Stock code GA20618.